‘Victory doesn’t come to those who never fail, But to those who never quit.’ At Presidium, we believe in nurturing leaders of tomorrow. 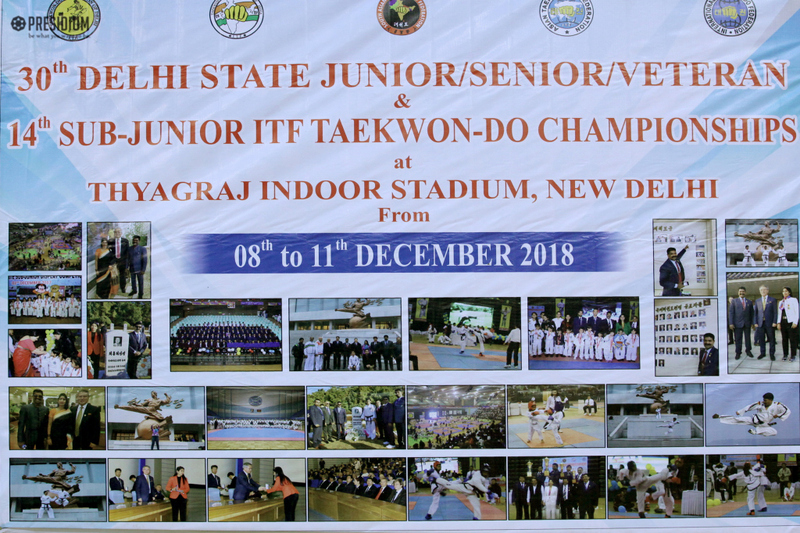 Young prodigies of Presidium Raj Nagar got an opportunity to participate in the 30th Delhi State ITF Taekwon-do Championship. 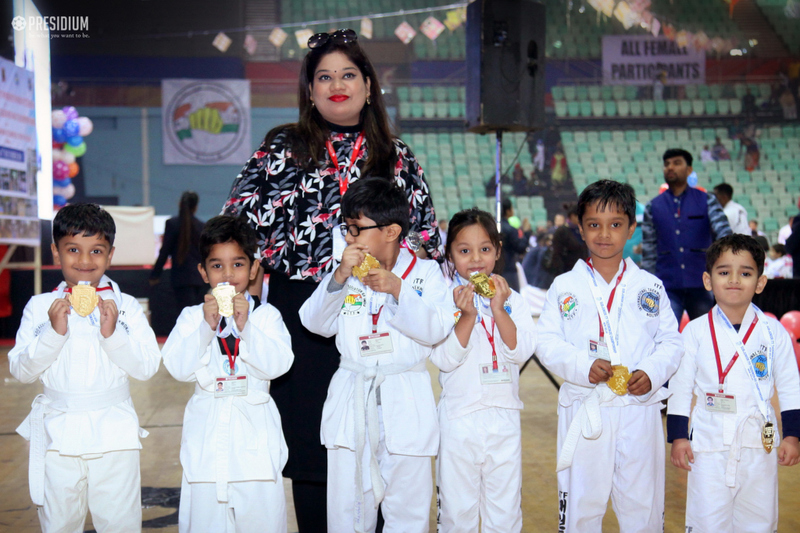 Students exhibited extraordinary determination and courage to emerge victorious in the various levels of the game. 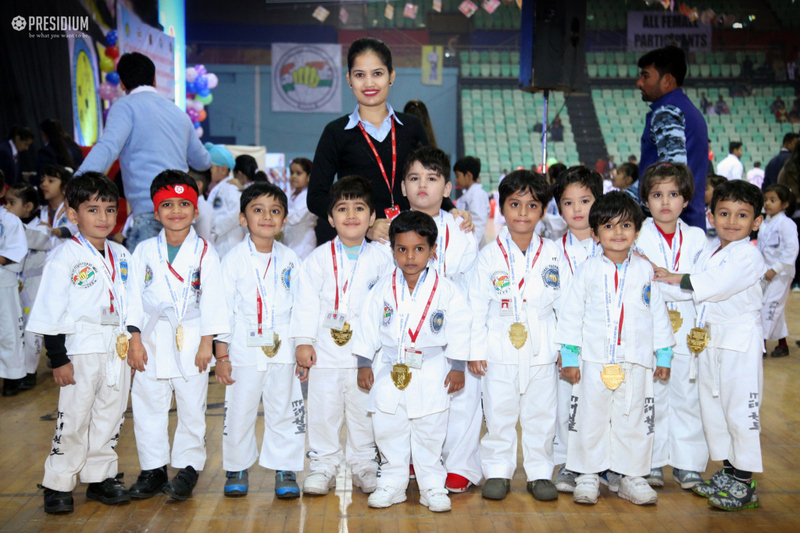 The event provided a much needed exposure to the students and a platform to showcase their innate skills where 3650 Students participated from 192 schools across the region. 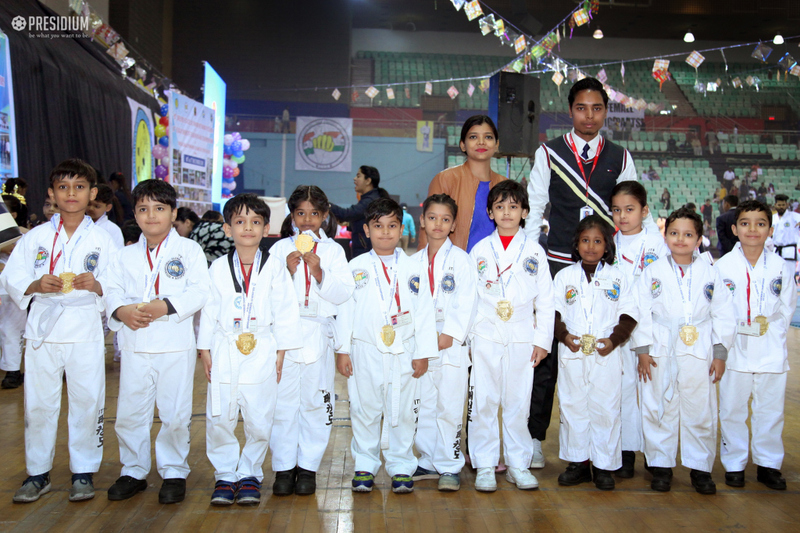 Presidians won 3 Gold Medals, 4 Silver and 4 Bronze Medals in the Championship.